Mahindra is planning to revive the lost image of its Korean brand Ssangyong in one of the world’s biggest car markets, China. Ssangyong was earlier owned by the Chinese company SAIC Motor Corp when it filed for bankruptcy. Mahindra took over the firm by acquiring a 70% stake in the shares. It started importing Ssangyong vehicles into China last year but has not met targets due to the negative image that the brand has gained under its previous owners. Dr. Pawan Goenka, the man at the helm of affairs in Ssangyong, has stated that Mahindra has taken measures to build the brand image and price its product keeping the competition in perspective. The company will also carry out a survey in order to know if the customer requires any kind of a special vehicle or features. Ssangyong sold 1,14,000 vehicles last financial year, out of which two thirds were exported. This year the company expects to sell around 1,25,000 cars and 1,60,000 in 2013. 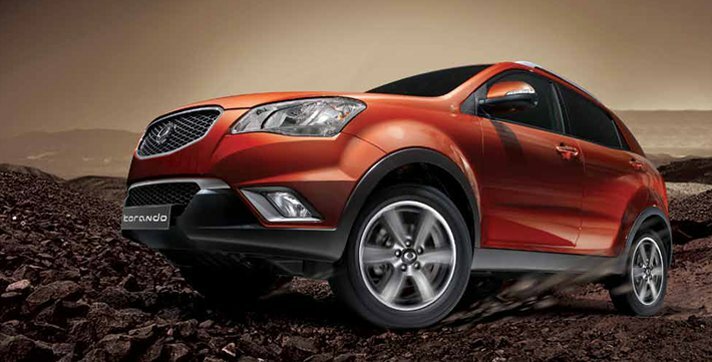 Mahindra and Ssangyong are together working to create a platform that will be shared by products from both companies. Presently the R&D departments of both the companies are engineering a new powertrain. This is a very expensive exercise for both firms and something that Mahindra or Ssangyong could not have worked on alone. Dr. Goenka has stated that currently there are no plans to drive Mahindra into the Chinese market and the focus would be to achieve a reasonable market share for Ssangyong. As of now Brazil is said to be an important market for Mahindra products. The XUV500 and the Scorpio are heading there in the coming years. Mahindra is also expected to come out with an announcement for plans on its US foray shortly. The journey has been on and off in the US. Mahindra has seen a 15% growth in its sales and is also planning to invest Rs. 30 billion to setup a plant in India that will churn out 2,50,000 units annually. Mahindra will also introduce the new facelifted Verito soon in the Indian market along with the mini Xylo.